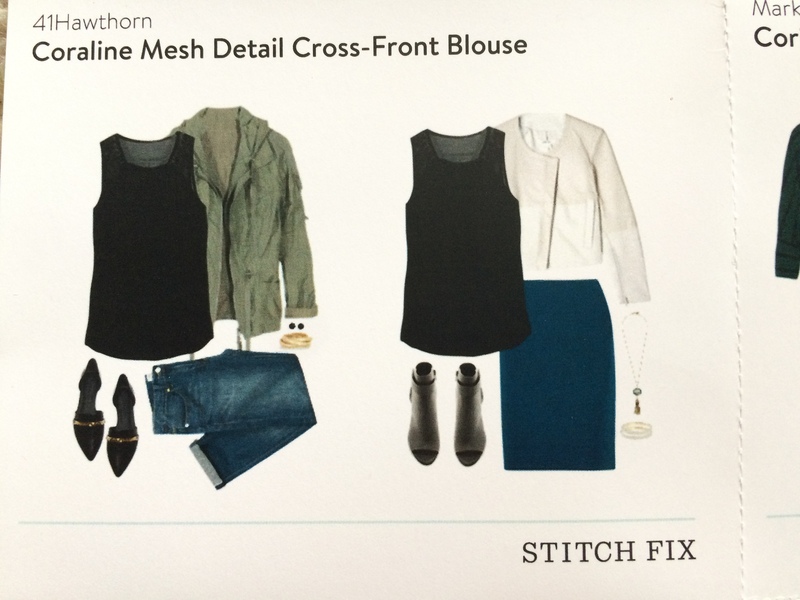 Alright peeps, let’s get the business side of this post done quickly – if you aren’t sure how Stitch Fix works, you can read my first posting here for all the details – including how I don’t work for them or sadly get reimbursed for my opinion:). 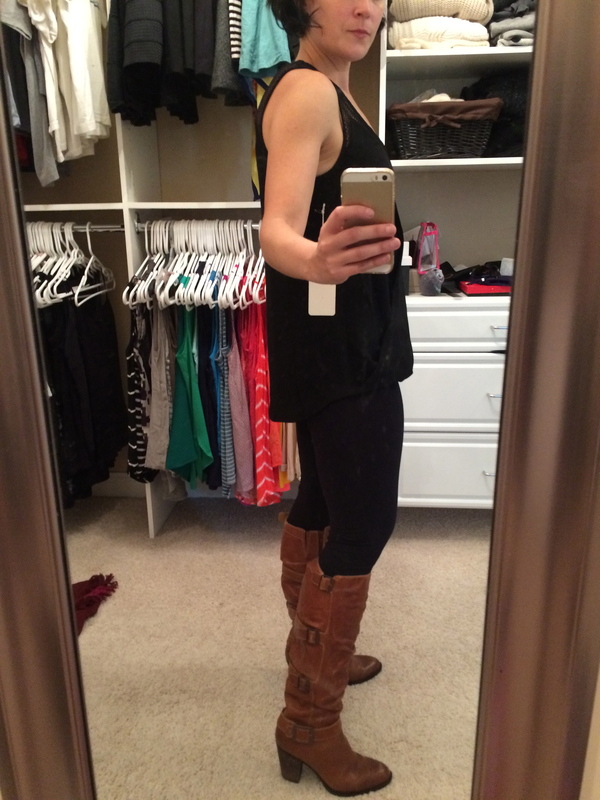 Jenny L. was again my stylist and again achieved the perfect mix of requests (2 items) and surprises. Even though I only kept 2 items, there was only one total “miss” in the fix. 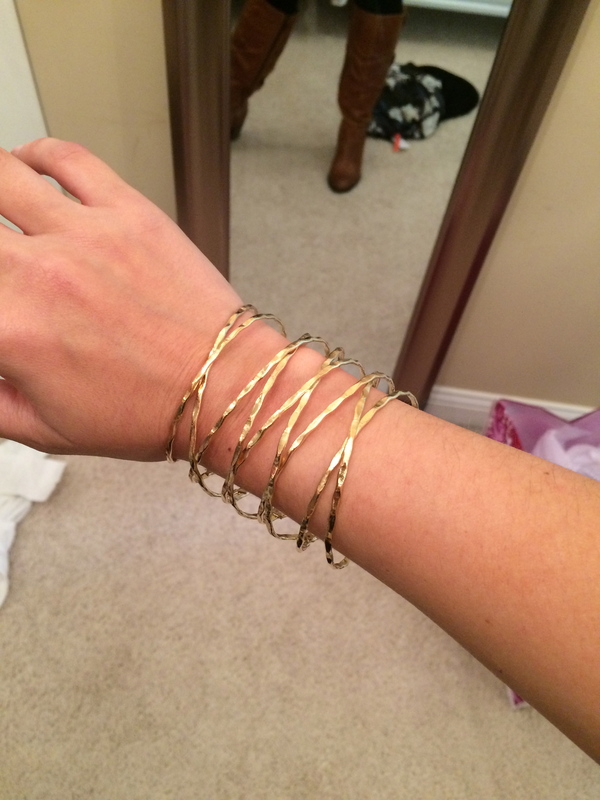 I 100% feel that Jenny L. is getting my style and sending me try-on worthy pieces. Yes, this is a bit pricey – but it is such a high quality piece. 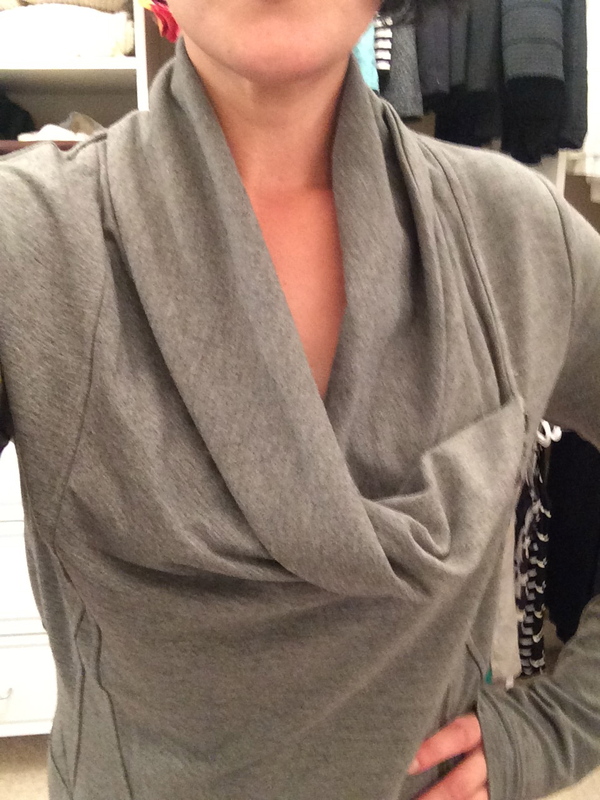 Although similar to the Alan Cowl Neck Asymmetrical Cardigan I received in my last fix, this fabric has real weight to it and even features a magnet to keep the underlying fabric from sagging and bunching. 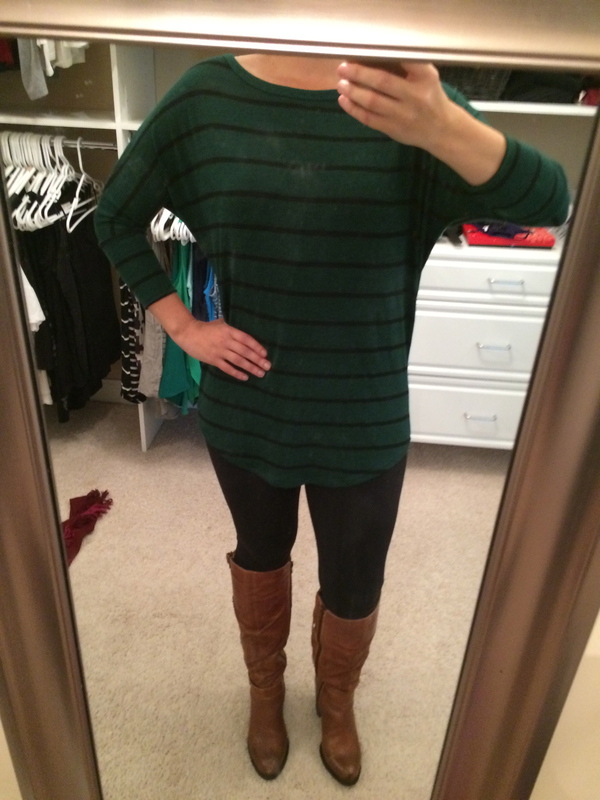 It is perfect for fall, and this one is staying in my closet! Although I appreciated the mesh detailing, it just ended up looking a bit odd and dare I say low quality. This didn’t require too much of a debate, because it was way too big as well. 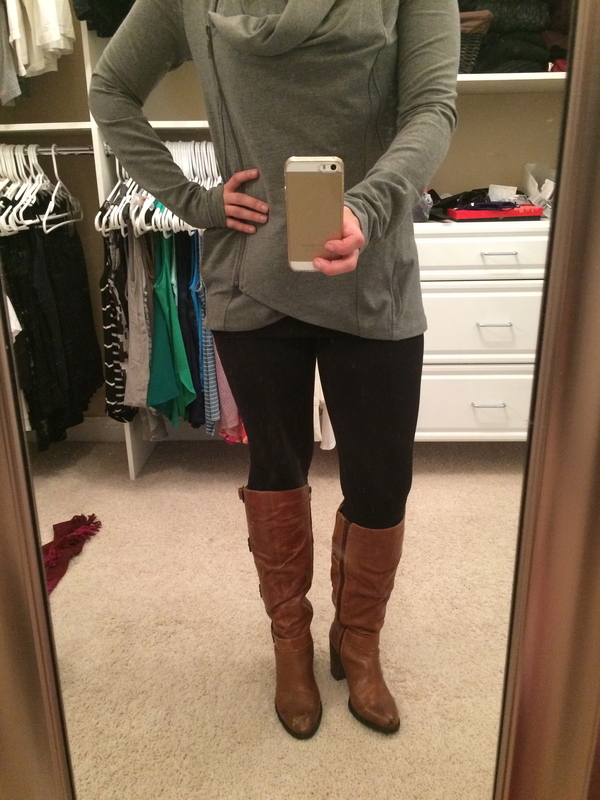 Although I do like this style, and I loved the color, I just couldn’t justify buying another “slightly baggy tunic to pair with leggings” sort of top. It fit well, as it wasn’t too big or too long. 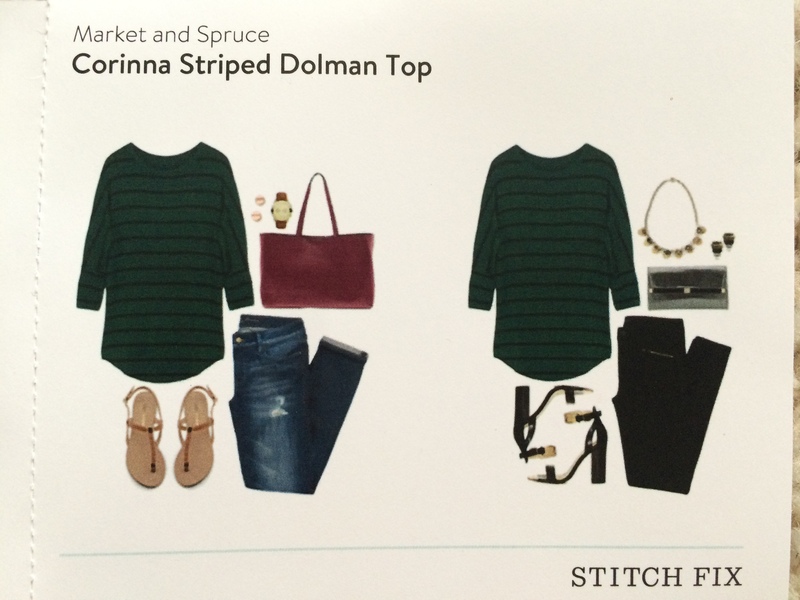 The only negative fit wise is that it has a decently wide boat neck meaning I would be fighting with bra straps showing all day. But, it was good quality, and sadly went back in the bag as a return. 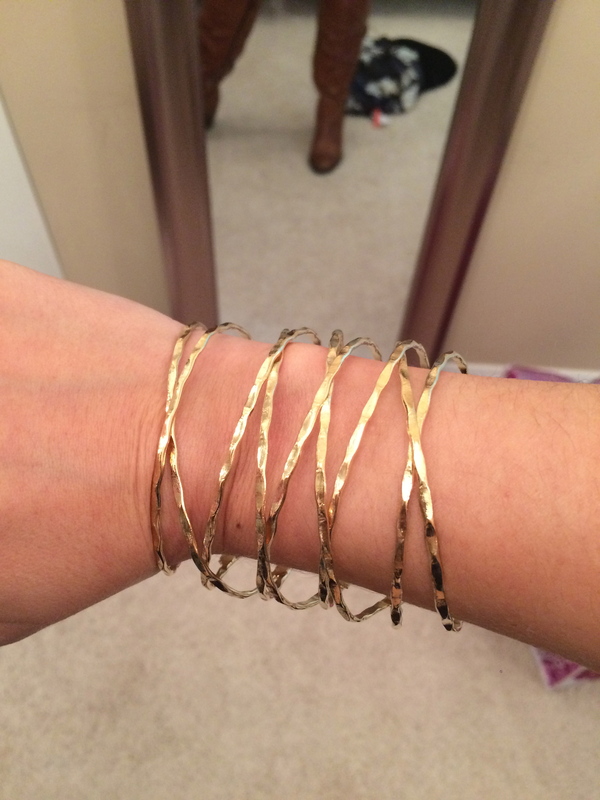 I love this bracelet – simple without being plain, makes a statement without shouting. This was a definite keeper. Umm, yeah, so this was the total miss in the fix. 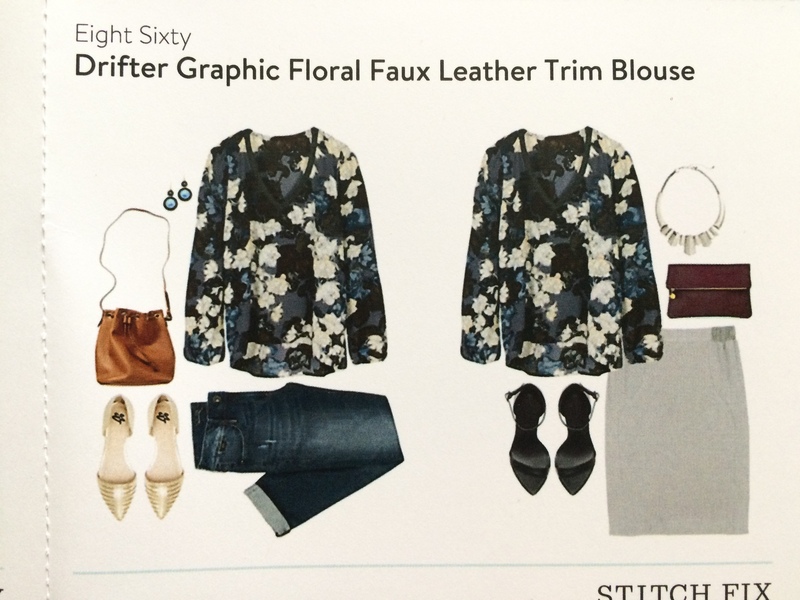 I think the edging in faux leather was an attempt to adjust for the matronly print, but it just didn’t quite cut it. 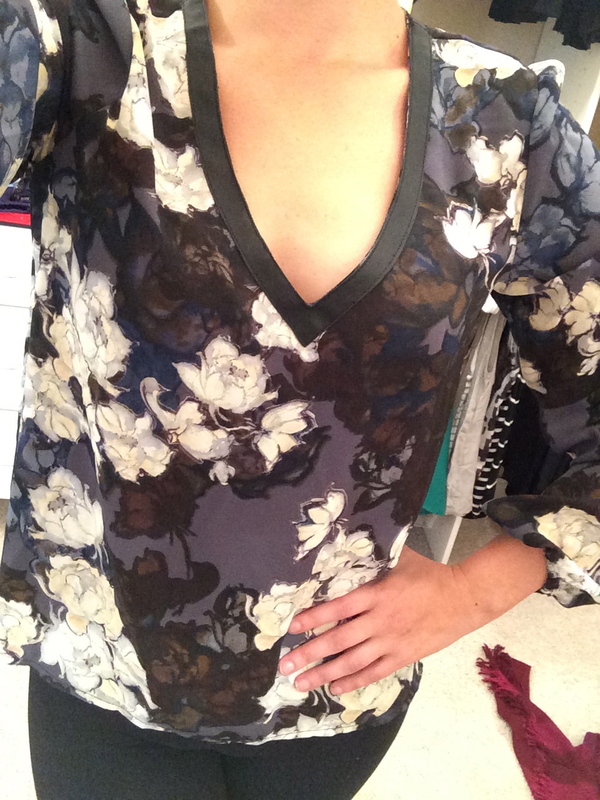 Plus, I am really not a flowy blouse kind of a girl. 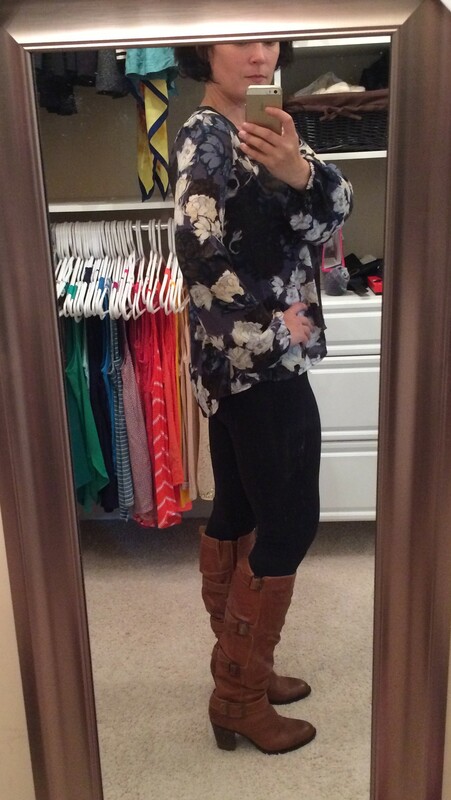 This isn’t my style, the fit wasn’t flattering, and the print just dreadful – there wasn’t anything that could redeem this blouse. 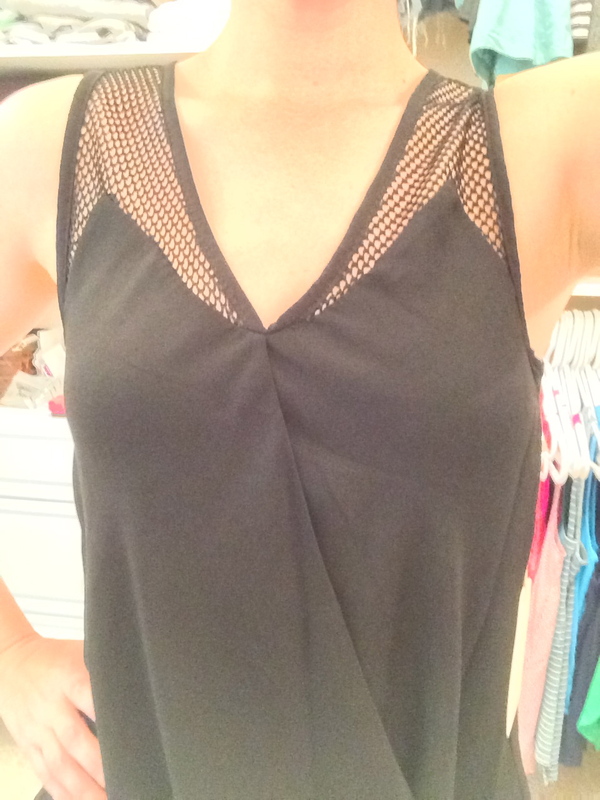 Overall, another great shipment from Jenny L. and Stitch Fix. If you would like to try it, click here for my referral link. 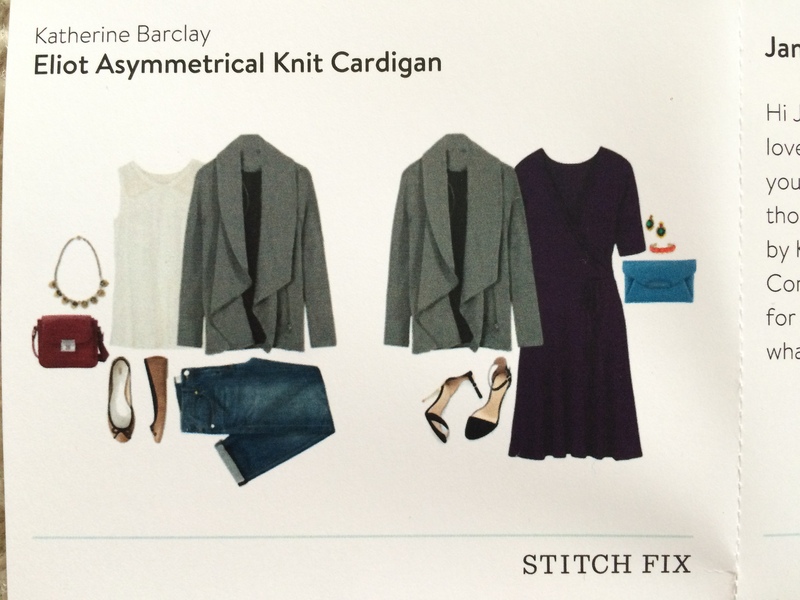 This entry was posted in Fashion and tagged 41 Hawthorn, 41 Hawthorn Coraline Mesh Detail Cross-Front blouse, Alan Cowl Neck Asymmetrical Cardigan, Dorothy Layered Hammered Cuff, Eight Sixty Drifter Graphic Floral Faux Leather Trim Blouse, Katherine Barclay Eliot Asymmetrical Knit Cardigan, Market and Spruce Corinna Striped Dolman Top, October 2014 Stitch Fix review, Stitch Fix, Stitch Fix Review by surgeoninkicks. Bookmark the permalink.